We recently explored the new album and live show of Toronto-based punk band Fucked Up and over at Spinner frontman David Abraham share his thoughts about his struggling to balance touring with family. F—ed Up, like most bands, make their money touring, and Abraham, who has a wife and young son at home, doesn’t know how much longer he can carry on with life on the road. Abraham certainly isn’t the first or the last artist to struggle with this issue. And I have to say I respect Abraham’s honesty about his struggle and the way that he explains it certainly shines a new light on the topic, especially since the band is in the midst of touring in the wake of one of the best albums of the year. That said, check out the video above and let us know what you think about the idea of balancing family with touring in the comments below and we’ll explore it more on a future episode of Live Fix Radio. 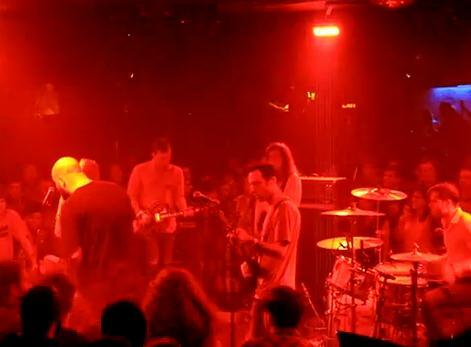 Thanks to loopyvids for the video of Fucked Up’s concert-in-the-round gig in New York.